Are you thinking of investing in a holiday home in Spain? Are you looking for somewhere to spend quality time with family and friends? Maybe hoping to earn rental income too? Are you imagining expanses of golden beaches, glistening seas, clear blue skies and hours of sunshine? Or feeling the adrenaline of hiking, paragliding, mountain adventures and watersports? How about the cuisine? Maybe the smell of freshly cooked fish and other tantalising local delicacies? Multicoloured, locally grown fruit and vegetable or locally produced meat? 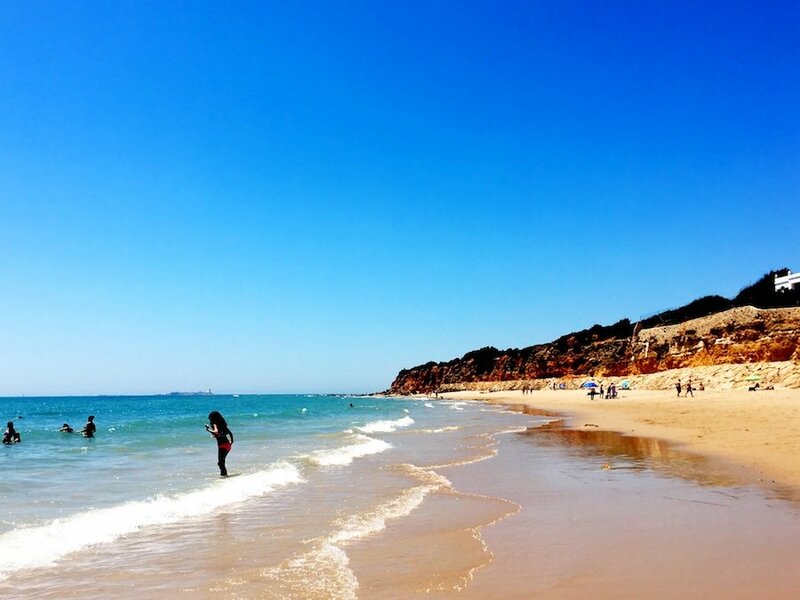 For years I have been singing the praises of Cadiz and the Costa de la Luz. It is one of the still yet to be really discovered coasts in Spain for foreign visitors. I do believe that now is the ideal time for investing in a holiday home in Cadiz. A paradise for beach lovers, foodies, nature lovers and action and adventurers alike, this stunning part of Spain is growing in popularity with not only Spaniards but travellers from all around the globe. Not surprisingly, Cadiz features in the recently published New York Times, Top 52 places to visit in 2019. One of Europe’s oldest cities is new again. At the tip of a peninsula thrust into the Atlantic, the city of Cádiz, a trading hub since 1100 B.C., has a vibe that’s more Havana than Madrid. A culinary renaissance is currently underway, with newcomers like Saja River and Codigo de Barra joining classics like El Faro. But the biggest gastronomic news lies across the bay in Puerto de Santa Maria, where Angel León’s Aponiente, which now has three Michelin stars, offers a lyric poem to seafood (plankton risotto). A second León restaurant, Alevante,in nearby Sancti Petri just received its first star. Twenty minutes inland, Jerez de la Frontera is a cradle of the fortified wines known as sherry, which are now on the hot list of sommeliers and the craft-cocktail crowd. Wineries include Díez-Mérito,Lustau and Bodegas Tradición, with its stellar collection of Spanish art. Beyond the cities, hilltop white villages like Vejer de la Frontera lure expats with a blend of hip luxury hotels and art by the likes of Olafur Eliasson at NMAC sculpture garden. Add a stretch of Atlantic shore, and the province of Cádiz ticks all the boxes. With property prices in some areas, particularly those with easy proximity to the beach, well below those of the Costa del Sol, with careful research, your money will go further. I personally recently purchased a 3 bedroom detached villa within 500 metres of the beautiful La Barrosa Beach for the cost of a 3 bedroom apartment here in the Costa del Sol. Our refurbished holiday home in Sancti Petri, Cadiz. 500 meters from the famous La Barrosa beach! I am not saying it is easy to find such deals but with our network of contacts, here at Buyer’s Agent Spain, we will find you a holiday home in Cadiz that you will love, in a location that you will not want to leave! I could spend hours telling you why Cadiz is a wonderful place, illuminated by clear skies natural light and sunshine, fragranced by delicious foods and decorated by white sand beaches, pine forests and green valleys, but you will see that for yourself simply by looking at photographs and comments on the internet. Simply google Cadiz or Costa de la Luz and see for yourself … But I am not here to sell you the location, I am here to explain why I believe you should consider investing in a holiday home in Cadiz. So, lifestyle and dreams aside, what are my Top 3 reasons for investing in a holiday home in Cadiz? It is essential to do your research before investing in such projects as land laws can be complicated in this area, with some built up regions still not having the correct licences in place. Our legal team will ensure all licences are in place before you spend any money. (Legalities and checks stage). Unlike in many areas of Spain, the Costa de la Luz still offers opportunities at affordable prices within easy reach of the beautiful coastline. One of the most exciting options is the possibility to purchase a plot of land and build your own home to your personal taste. I can recommend local trade people and will personally oversee your project if this is what you choose to do. In many coastal areas, there is a shortage of supply of rental properties, particularly in the summer months. In inland areas and Cadiz Capital, there has been an increase in rental demand all year round. as a result, higher rental prices are easy to achieve. I’m sure Rick Stein has something to do with this 😉 Thanks to the mild year-round climate, a holiday can be enjoyed at any time. If revenue generation is a priority for you, renting out the property in the summer months and enjoying it yourself at other times of the year is a profitable venture. (Read our articles on calculating rental prices and profits). Believe me, I could go on and on about this but I know that attention spans are short and reading an article on the web is nothing like seeing the reality, so what are you waiting for? We look forward to helping you find your ideal holiday home in Cadiz in 2019!